Dragon Ball Super viewers recently witnessed how Universe 7’s Majin Buu defeated Basil, the Kicker, from Universe 9. The tournament is still ongoing as Gohan will take on the oldest among the trio of Danger Lavenda. 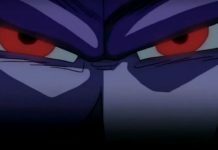 Although that is the case, every Universe is keeping an eye on the possibly the strongest of them all which is Universe 11. Ever since TOEI Animation showed a glimpse of the 12 Universe, the overwhelming presence of one Universe seemed to stand out. 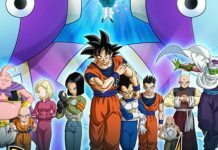 A lot of the fans of the show might be curious about the God Of Destruction who looks like a clown, but according to the official page of OtakuKart, Universe 11 is the real deal and Universe 7 should watch out for them. A few days ago, they have introduced the greatest fighter from Universe 11 which goes by the name Toppo. He is considered to be the next God of Destruction because of his ungodly strength and power. The leader of the Pride Trooper is also hot-blooded and fights for Justice. He is also the black-hooded guy besides the Clown God Of Destruction. However, Toppo is not the only fighter that the other 11 Universe should keep an eye on. Before the tournament had started, fans were able to see a glimpse of a “female Broly“. Although it was not officially introduced yet, it looks like the female Broly is menacing. The very first legendary super Saiyan will surely make its mark once she is called upon. And then, there’s one more character in Universe 11 that few fans noticed. 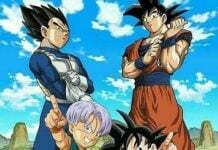 This fighter was not introduced yet, but you can see him in the opening theme of Dragon Ball Super. From there, it shows that this fighter can easily read and block Goku’s attacks even if Goku is in Super Saiyan Blue mode. 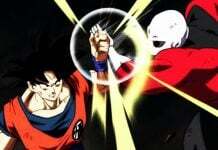 There are speculations that he is Toppo’s right hand and might have the same relationship like Goku and Vegeta. 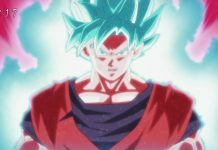 Universe 11 is the current alpha male in the tournament and could be the biggest threat to Universe 7. Previous article‘Attack On Titan’ Season 2 Release Date, Spoilers, Eren’s Identity, And More!